WISDOM TOOTH: SPEAKING AT NYU TONIGHT! This evening I'll be presenting in NYU's "Gender and Performance" class on zines, and specifically, my zine International Girl Gang Underground. The class has been instructed to author a zine as their final project, so I'll be speaking about my motivations for creating IGGU (with co-editor Stacy Konkiel) as well as leading a zine how-to segment and leaving plenty of time for questions. I broke out these "Frankenstein" zine pages to show the students--you know the ones, made up of layers of glue, ink, and cut-up paper. The ones you eventually xerox to become your first set of flats. 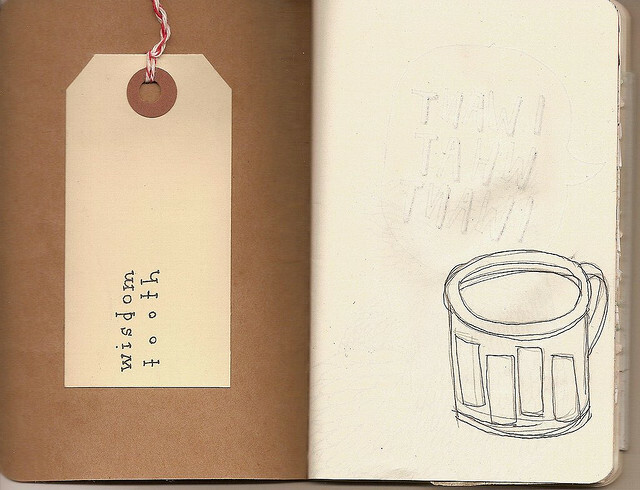 It's interesting to see these pages as objects unto themselves. 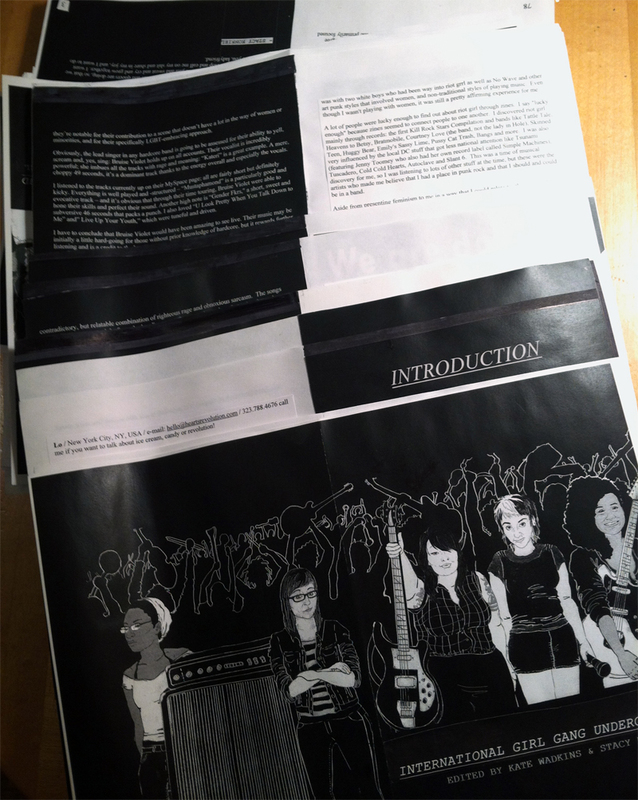 It's exciting for me to have the chance to discuss my zine--and zines in general--in an academic context. That said, contact me if you are looking for someone to lead a workshop / presentation / event at your university on these topics!